Italy holds a special place in my heart for many reasons. My husband and I met there when we were both in graduate school studying international business. That was not my first time in Italy. A semester abroad in college conferred on me what has become a life-long passion for Italy and all things Italian. Gelato, the Italian version of ice cream, also played a key role in my complete seduction. To this day whenever I indulge in gelato it brings back joyful memories of my travels and study in that most wonderful of countries. And it is something Gavin and I have enjoyed together and remember fondly. Many years ago while back in Italy for work I travelled with a colleague who was devoted to her nearly fat-free diet. She was very diligent about eating healthy foods – albeit without much if any fat, which we know now is not ideal. We were there for three weeks and she declined gelato whenever we went out for it. She made it clear she wanted to indulge in the sweet treat but was afraid of gaining weight. While I admired her willpower and dedication to her chosen way-of-eating, I could not help but feel sorry for her. We were in Italy after all. It was GELATO! Food is one of life’s pleasures. 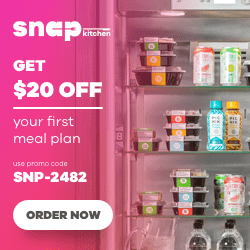 In spite of strict dietary requirements I still believe in enjoying life through food as long as you can do so without totally derailing your overall health. 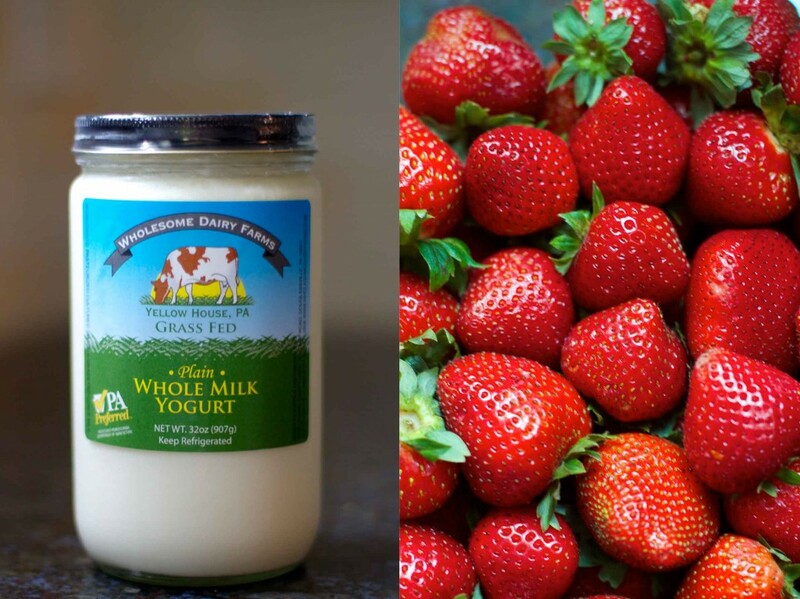 Dairy is not a food I often consume but when I do I try to ensure it is of high quality – grass fed is best and we do enjoy raw dairy when we can get it. Raw dairy is not legally for sale in New Jersey so we have to drive to nearby Pennsylvania for a great source. Wholesome Dairy Farms is our favorite place to find grass fed and raw dairy. On our last visit we were privileged to see a newly born calf. When the farmer asked if we wanted to see the baby born just hours earlier we were envisioning something smaller and more feeble. Instead, we were greeted by a rather hearty and LARGE fellow who had little trouble walking around on his own. Nathaniel was overjoyed to be able to pet the baby. 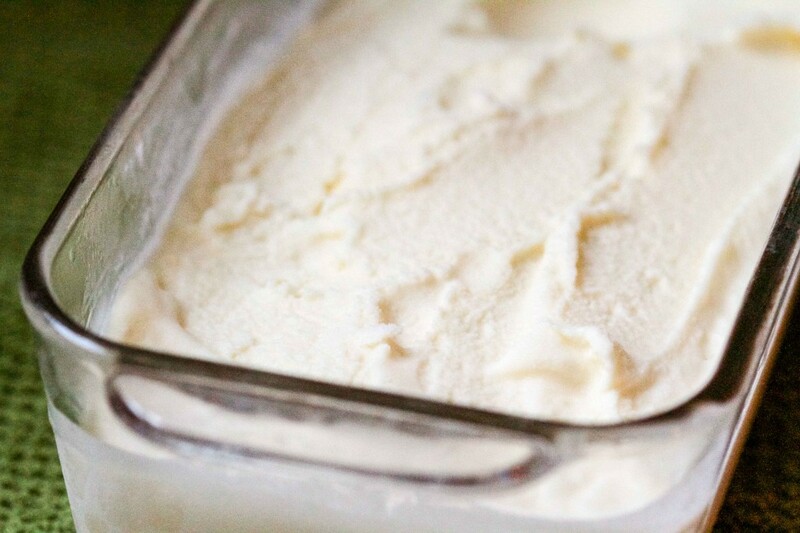 When deciding what to do with the grass fed yogurt, one of the first things that came to mind was gelato! What better way to feature this particular indulgence in high quality dairy? While working in Milan many years ago, my apartment was in a five story walk-up on a major road. I still remember Viale Umbria with all its sights and sounds and the LONG trek up to my apartment. One of the great things about the apartment was being right above a pizzeria and a gelateria. It was at this particular family run gelateria I was first introduced to “gelato allo yogurt alla fragola” – Yogurt Ice Cream with Strawberries. It was nothing like the “frozen yogurt” in the U.S. which is often fat free or low fat. The yogurt flavor of this gelato was far more intense – very creamy and tangy. It was delicious by itself but during the summer, when strawberries were in season they were added to the mixture for an even more amazing treat. So if you are able to tolerate dairy and find yourself with some high quality yogurt I strongly urge you to make this honey yogurt gelato. You will not be disappointed. I can’t guarantee it is exactly the same as what you would find on Viale Umbria in Milano but it is pretty close. The honey flavor is more pronounced than what is typically served in Italy but it is a truly amazing taste sensation. You can vary the amount of honey depending on your taste. 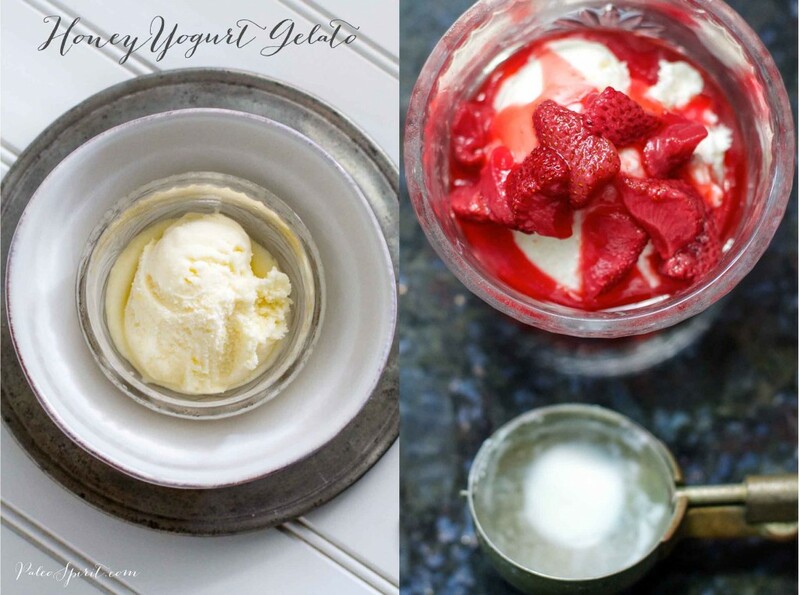 The first recipe is for the honey yogurt gelato followed by a roasted strawberry sauce that adds one more intense flavor to the entire frozen treat experience. Heat the milk, cream and honey in a medium sauce pan until the honey is melted and the milk/cream mixture is hot. Don’t bring to a boil. Cool the mixture completely. The fastest method is plunging the sauce pan into an “ice bath” (bowl of water and ice) and stirring or whisking until cool. 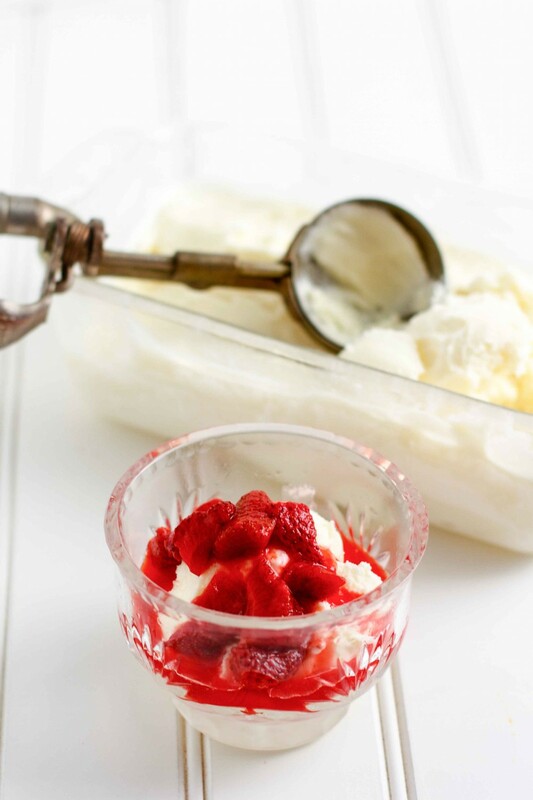 Whisk in the yogurt until completely combined and smooth. Pour into an ice cream maker and follow the manufacturer’s instructions. Remove the yogurt gelato from the ice cream maker and place into a freezer-safe container and place in the freezer until firm. Wash and drain the strawberries. Cut off tops and then into quarters or eighths, depending on size of the berry. 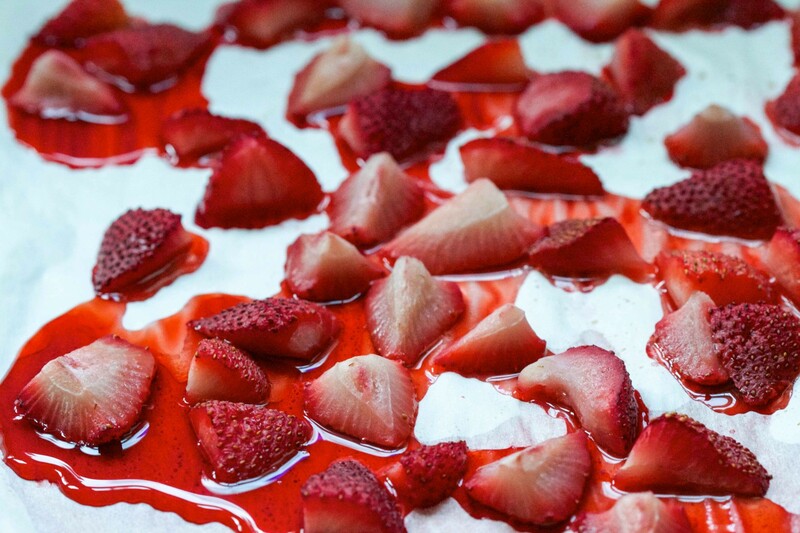 Cover a large sheet pan in parchment paper and spread the strawberries out on the paper in an even layer. Roast, uncovered, for about 25 minutes. 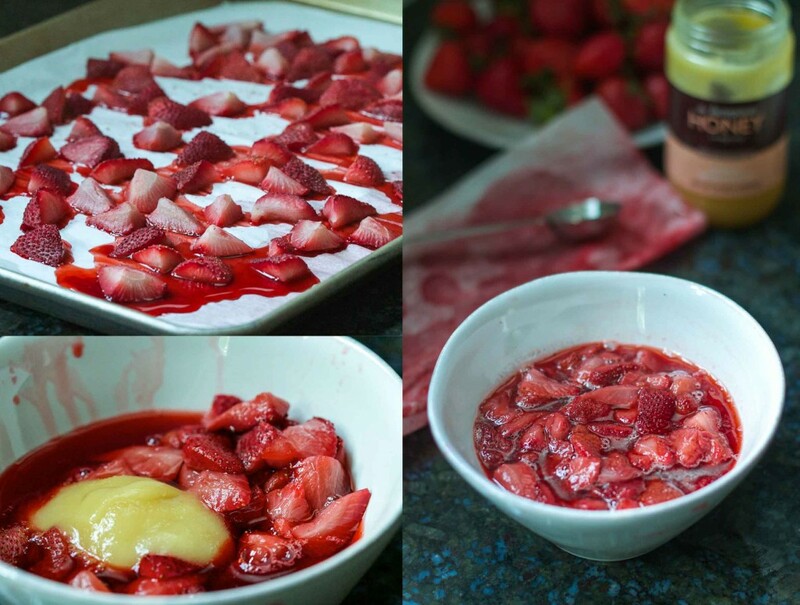 Remove the roasted strawberries from the oven and allow them to cool. 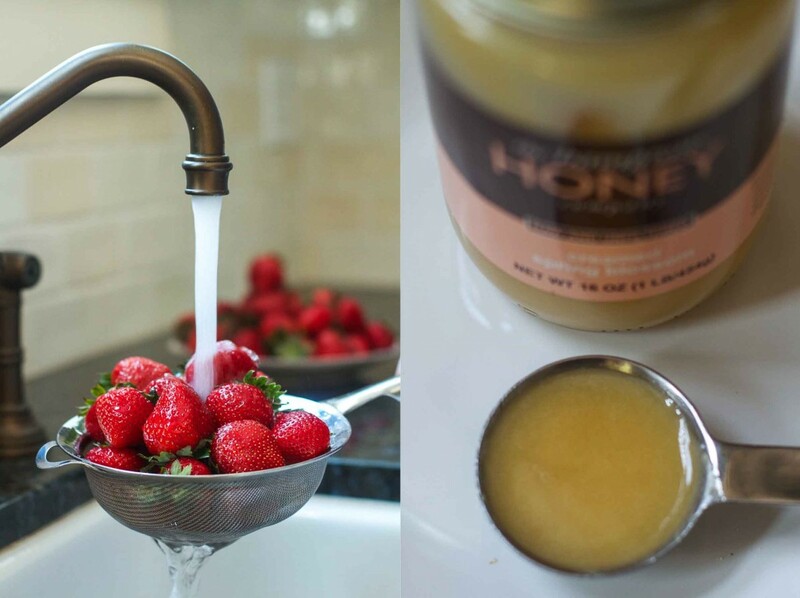 Place the strawberries and their juice in a bowl and stir in the raw honey. There are a few different options for this recipe. You can make something closer to “Gelato allo yogurt alla fragola” by foregoing the roasting of the strawberries and just adding them in toward the end of the ice cream making process. 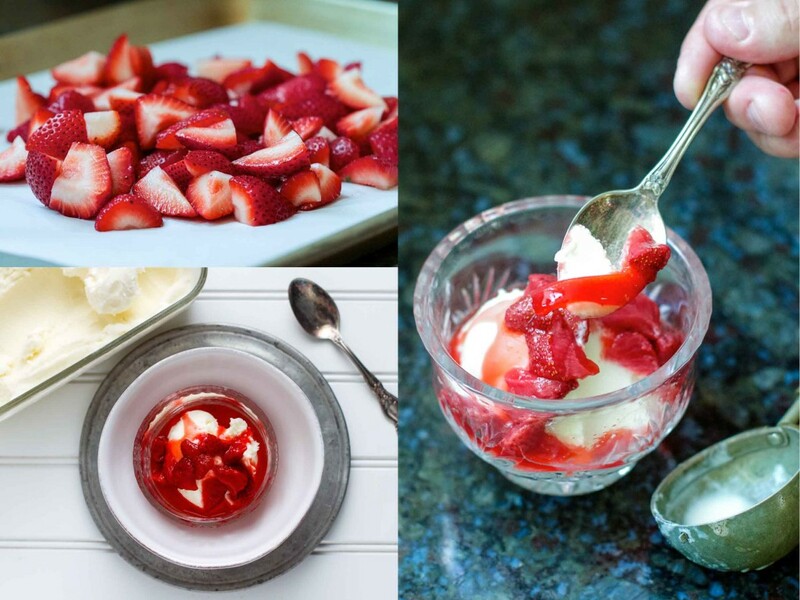 You could also make the roasted strawberry sauce as instructed and add that toward the end for a more true strawberry yogurt gelato/ice cream. Personally, I love having the option of eating the honey yogurt gelato all by itself and then adding the roasted strawberries on top for a little change. You really cannot go wrong no matter what you decide. Have you ever travelled to Italy and sampled the gelato? What did you think? Were you seduced by it too? Thanks for stopping by! 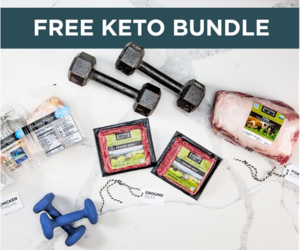 Find Paleo Spirit on Facebook and Pinterest. 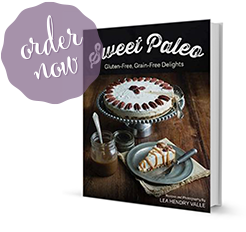 For dairy-free paleo dessert recipes check this page. 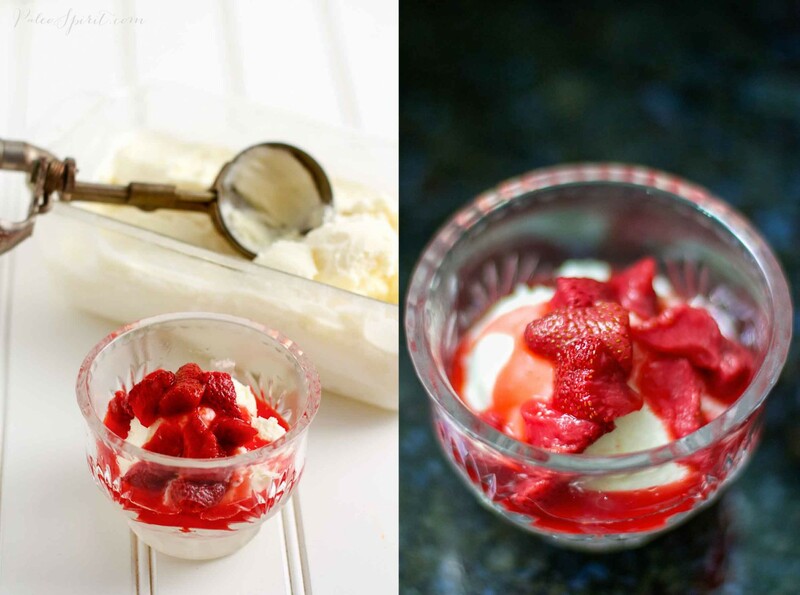 6 Responses to "Honey Yogurt Gelato with Roasted Strawberry Sauce"
This looks delicious Lea, pity I am dairy intolerant. But the strawberry sauce, umm I am sure I could use that for something. Once again a great read and fantastic pictures!! Sorry about the dairy thing. I just made a roasted peach and coconut milk ice cream that I want to post soon. You can eat that one! Yes it looks gorgeous and the perfect thing to christen my new icecream machine. I made it again last night with runny honey and Greek yogurt. The flavor was not AS good I think because the honey didn’t have quite that same flavor as the raw honey. But it was still good. I think the final product had a different texture but that was probably more because of the Greek yogurt. I say go for it! Last week my kids and I were studying Italy so we decided to make gelato. I used your recipe as a basis, using my homemade yogurt and substituting 1c homemade sour cream for the 1/2 cups milk and cream (also foregoing the stovetop directions). I didn’t have enough honey so I used a bit of coconut sugar in addition to equal 1/2c. Roasted the strawberries but didn’t turn them into a sauce, just mixed them in with the gelato. I don’t have an ice cream maker so I stirred it every so often after putting it in the freezer. Would like to perfect the texture but it was still REALLY good! Plan on making another flavor soon.